We are nestled on the shores of the Nornalup Inlet within the Walpole-Nornalup National Park close to The Valley of the Giants Tree Top Walk, Giant Tingle Tree, Circular Pools and the WOW Eco Cruise Jetty. Our park is fully accessible to the calm waters of Coalmine Beach. We have Camp Kitchens, Free BBQ'S, Laundries, Rec-Room, Kids Corner & a Playground. We even host OUTDOOR CINEMAS over the summer school holidays. Our park is very family friendly, with shaded camp sites and fully self-contained chalets. Sorry No Pets. Our four star park is situated in a tranquil National Park setting. All chalets and park cabins enjoy a private ambience surrounded by a wide variety of flora, fauna and local animal life. Located on the Bibblumun Track and parts of the Mundda Biddi Trail making this a perfect destination for walking, riding and sightseeing. We are also conveniently located near many local attractions including wineries, galleries, animal parks and restaurants. 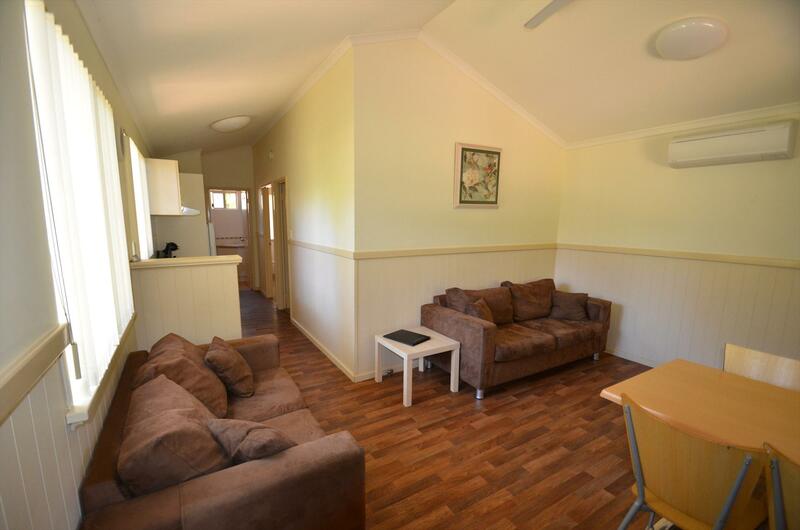 For Instant Booking Confirmation and Bargain Price please visit www.coalminebeach.com.au or call our office on (08) 98 401 026. We look forward to booking you in and making your holiday one to remember. Our spacious family chalets are situated in a secluded bush setting. Each with its own private verandah, outdoor setting and BBQ making it ideal for informal family dining whilst enjoying the native wildlife. The chalets sleep up to 6 people consisting of a queen size bed in the master bedroom with built in robes and ceiling fan. The second bedroom sleeps 4 with two sets of single bunk beds, built in robes and wall fan. There is a separate lounge/dining room with television/dvd player plus a reverse cycle air conditioner. The kitchen is fully self contained with all the cooking utensils, crockery, microwave, stove top, fridge/freezer and pod coffee machine. This family chalet has a ensuite shower and vanity plus a separate toilet. Linen is provided for every guest. Perfect accommodation for a couple or single person. These lovely studio units have Inlet glimpses and are located in a bush setting. They have a verandah with outdoor setting and BBQ. Each unit has a comfortable ensemble queen size bed, built in robes, TV/DVD, reverse cycle airconditioner, dining table and chairs. The kitchen is fully self contained with all the cooking utensils, crockery, microwave, stove top, fridge/freezer and a pod coffee machine. The ensuite has a toilet, shower and vanity plus all linen in provided. Our En-suite family cabin sleeps up to 4 people, separate main bedroom has comfortable queen ensemble bed, kitchen/dining area has single bunk bed. A large verandah has an outdoor setting and BBQ ideal for bird watching and informal dining. 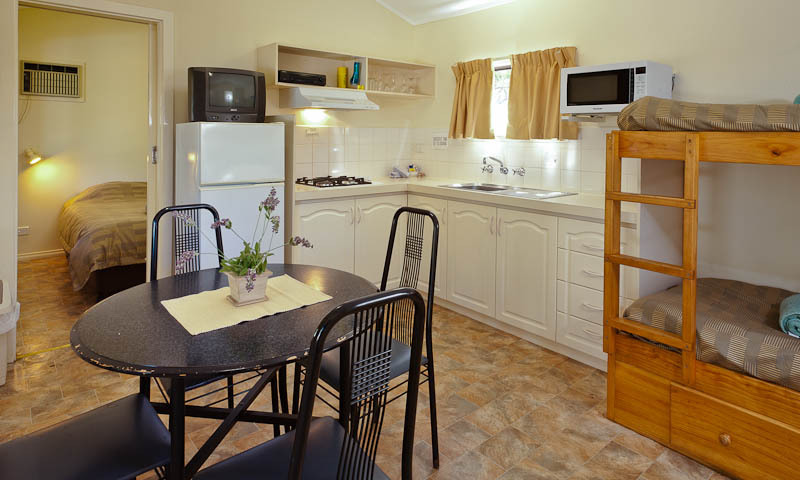 The kitchen is fully self contained with all the cooking utensils, crockery, microwave, stove top, fridge/freezer, pod coffee machine plus TV/DVD. The ensuite has a shower, vanity and toilet. plus all the linen is provided. 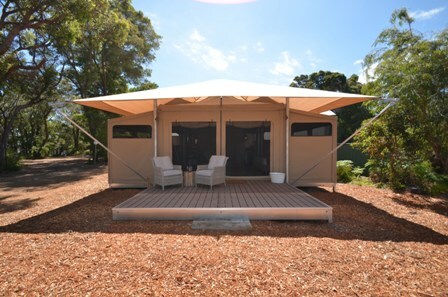 Our Glamping tents have been styled with luxury in mind. The open plan design allows for a comfortable ensemble king size bed with crisp cotton sheets and electric blanket. The bed overlooks the lounge area with furniture to be used inside and outside on the spacious deck. There is a kitchenette with all the immediate cooking needs including fridge, microwave, kettle, toaster and pod coffee machine plus a brand new camp kitchen close by for cooking on the BBQ or stove/oven. The bunk room has roll down walls to offer privacy from the main bed and has two single bunk beds. The en-suite has a toilet, shower and vanity. All linen is provided plus a oil heater for the cooler weather when needed. 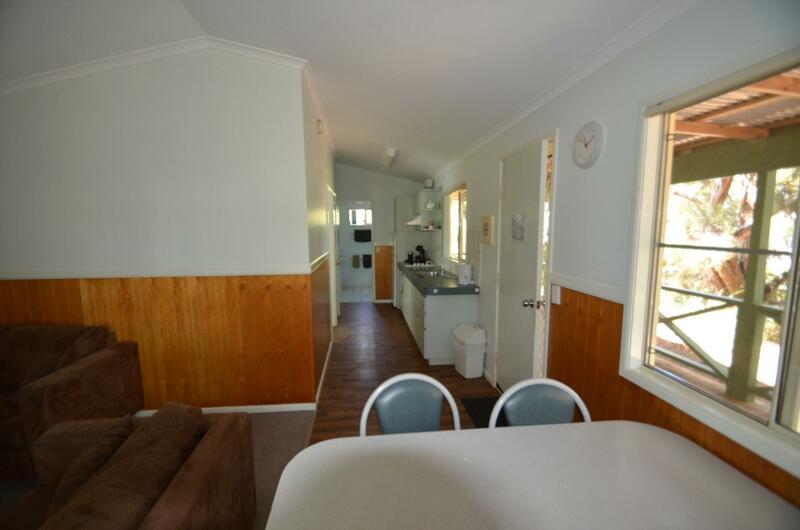 This delightful water view chalet looks out onto the Nornalup Inlet and is situated in a bush land setting. The chalet has a private verandah with outdoor setting and BBQ. Sleeps up to 4 people consisting of a queen size bed in both bedrooms with built in robes. There is a separate dining space plus a lounge area with TV/DVD and a reverse cycle air conditioner. The kitchen is fully self contained with all the cooking utensils, crockery, microwave, stove top, fridge/freezer and a pod coffee machine. 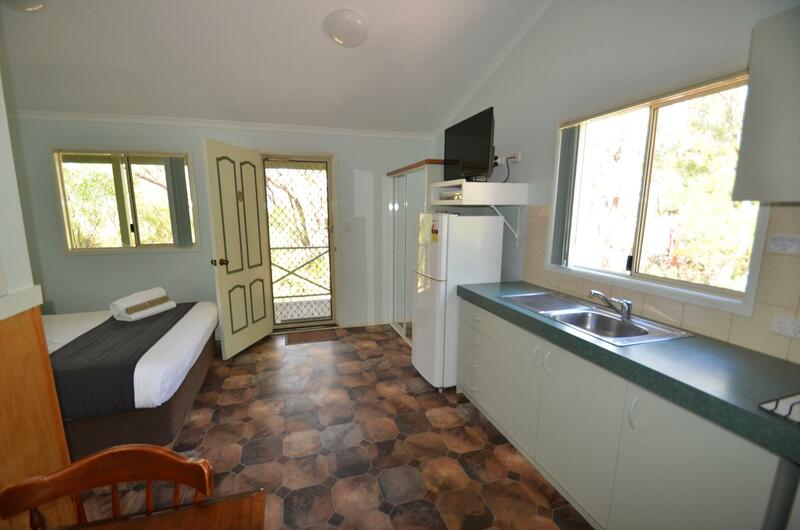 All linen is provided and the ensuite has a toilet, shower and vanity. The first night deposit is required to confirm your booking. All deposits are non refundable if less than 30 days notice is given for cancellations during low season. 60 days cancellation policy applies during peak season. Check our website for season dates. Minimum Night Stays Apply for all PEAK SEASON DATES. A $30 administration fee will be charged on all cancellations that comply with our policy. Cancellations need to be made in writing via e-mail or call us directly on 98 401 026. This cancellation policy is in addition to the WNVC cancellation policy.